With ShoppingList Free Edition you always have your shopping list with you. 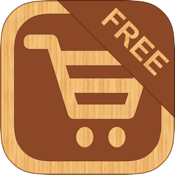 ShoppingList Free Edition provides you the possibility to organize your purchases with just a few steps. The app makes it possible to easily manage your purchases in a clear way. Because of the intuitive handling you need just a moment to create, edit and add products to shopping lists. As during the development of ShoppingList Free Edition attention has been paid to provide the possibility to create lists with as few clicks as possible you can save a lot of time.